[Analysis] Did Crystal Cruises Really Save the SS United States? By now you’ve heard that Crystal Cruises have partnered with the SS United States Conservancy to help restore the 1952 built ship back to service. First, a bit of history. The United States Lines partnered with the US Government in 1949 for the construction of a large merchant ship that could be converted into a troop ship at a moment’s notice. During WWII, the United States Government saw firsthand the success that Britain had with the RMS Queen Mary and RMS Queen Elizabeth conversions, and decided that they should have one of those for themselves. 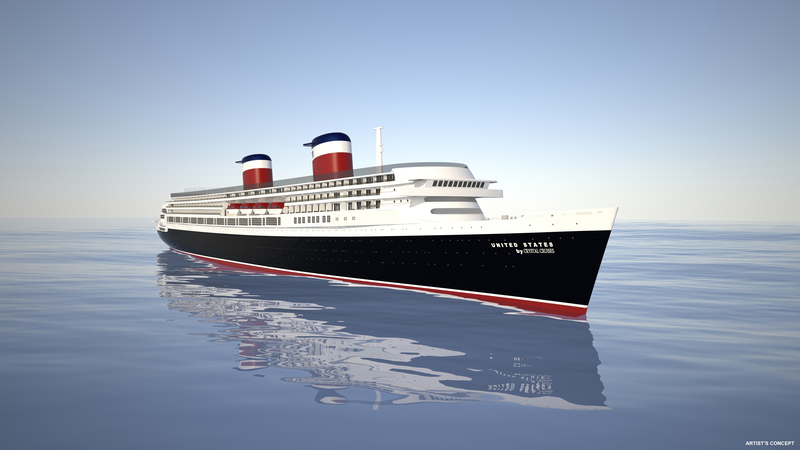 The joint venture hired renowned American Naval Architect William Francis Gibbs to design the vessel (Gibbs’ granddaughter is actually the head of the SS United States conservancy). The SS United States was then built in Norfolk, Virginia from 1950-1952. The ship was designed first and foremost to be fast and safe. She still currently holds the Blue Riband for fastest transatlantic time for a westbound crossing. A record she set on her first try back in 1952 of 3 days 12 hours and 12 minutes. The 38,216gt ship also had zero wood furnishings sans for the butcher’s block in the galley and the baby grand piano in the first class lounge. By all means, this ship was impressive. Fast forward roughly 15 years. The jet age was upon us and the 707 cut the transatlantic time down from days to hours. Every ocean liner’s days were numbered. The largest US flagged ship was laid up in 1969. Ownership and responsibility for the vessel went through various branches of the Government, Department of the Navy, and US Maritime Administration. Being as she has the largest US built hull out there, the Government held onto her for as long as they could. She was sold to a Turkish based group in 1992 and they paid for the gutting and asbestos removal from the ship and moored her in Philadelphia where she’s been ever since. In 2003, Norwegian Cruise Line decided to purchase it from the Turkish groups’ estate. NCL was doubling down on their recently launched NCL America brand and bought the SS United States and the SS Independence. Both ships were laid up at the time and both were Jones Act ships having been US built. This meant that they could sail domestically in the US without having to stop in a foreign port as the Passenger Vessel Services Act calls for foreign flagged vessels to do. NCL thought this would be quite appealing for inter Hawaiian cruises. This turned out to be a horrible decision. NCL quickly got in over their heads and Hawaiian cruises turned out not to be successful at all. (It actually took around 10 years for NCL America to become profitable, which oddly enough corresponded with the ousting of their former CEO Colin Vietch.) They quickly transferred the Pride of Aloha (now sailing as the Norwegian Sky) and the Pride of Hawai’i (now sailing as the Norwegian Jade) out of the US flag fleet in 2008. They then decided to sell the Independence for scrap which angered pretty much every ocean liner enthusiast. 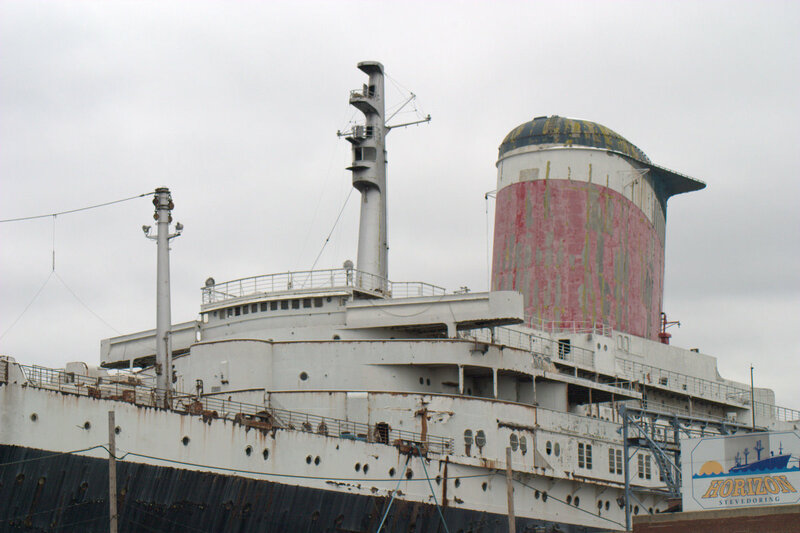 In 2010, NCL sold the ship to the SS United States Conservancy for $3 million. It was rumored that they were going to scrap it for just under $6 million. The Conservancy have dabbled in various projects to restore the liner in one way or the other for the better part of 5 years. You can read them here. And that brings us to February 2016. Crystal Cruises shocked the industry by spearheading a venture to refit the ship for liner service again. In short I’ll go on record as saying this will never come to fruition. NCL commissioned several extremely thorough studies in the mid 2000’s on the structural integrity of the vessel and they discovered her to be a complete rust bucket. I read several of the reports and they were actually quite depressing. I would have more faith in the project if they were to permanently moor her in a port, a la the Queen Mary, and operate her via shore power. To overhaul the engines, boilers and turbines, if it can even be done at all, and to possibly get her below deck machinery up and running again just isn’t going to happen. 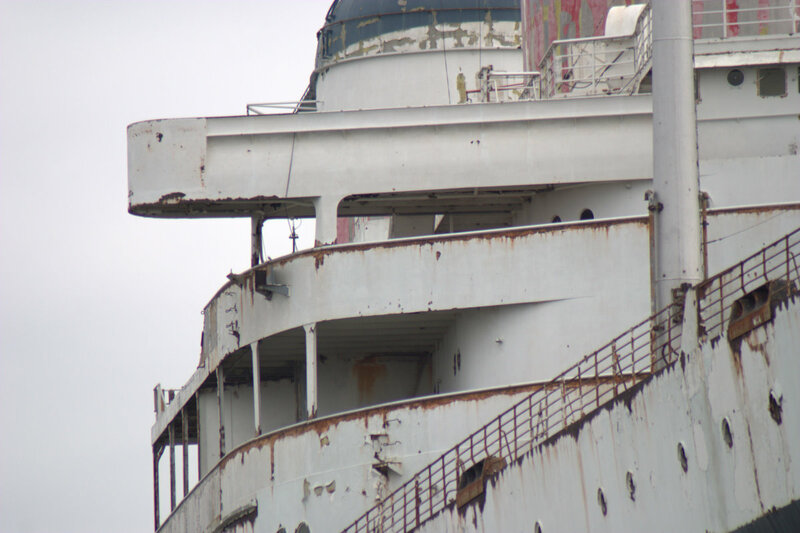 Crystal will completely redo the top decks which have all but rusted away and install 400 suites there. Based on the renders, you can hardly recognize the once proud liner. In this flickr album we can see the actual state of the superstructure onboard the ship. Crystal’s parent company, Genting Hong Kong, has very deep pockets and have invested millions into enhancing Crystal cruises by adding a yacht, a river cruise line 4 ships deep, 3 newbuilds, and even an airline with 2 wide body planes. This is starting to sound extremely familiar to the time in 2003 when the SS US was brought into the ever expanding NCL America brand. Genting Hong Kong also purchased the Lloyd Werft shipyard in Bremerhaven, Germany. This is quite possibly the location where the conversion of the SS United States will occur. If so, she loses the US flag status. It’s also interesting to note that Genting was also more involved back in 2003 with their subsidiary, Norwegian Cruise Line, when it also bought the SS United States. It seems Genting Group really has their minds set on making something out of her. If you think I’m just being cynical with this, I’m not alone. 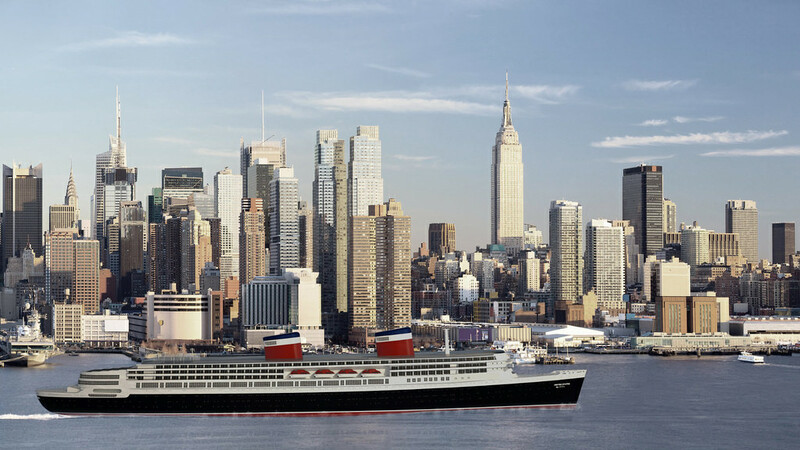 CruiseIndustryNews published the article “SS United States Deal: Publicity Stunt or Bad Idea?” While it’s not really argued in the article, they do bring up a good point. Is this just a publicity stunt? Crystal’s new CEO Edie Rodriguez is quickly building up a track record of holding press conferences for every announcement. Is this just another one? via Yahoo. 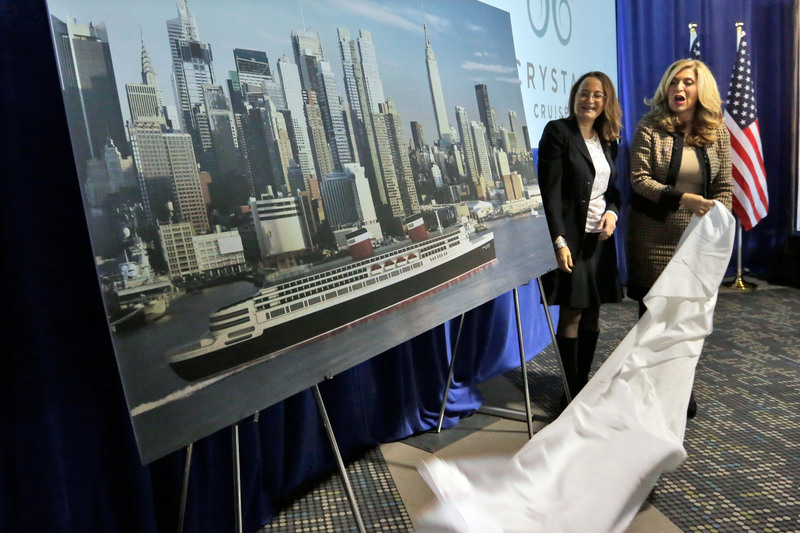 SS United States Conservancy Susan Gibbs, left, and Crystal Cruises President & CEO Edie Rodriquez right. The cards are stacked against Crystal. I will admit, if by some miraculous reason they are able to pull this off, I absolutely will be booking passage on her. I’ve always been an enthusiastic fan of ‘The Big U’ and built a 1:600 model of her. I find it increasingly frustrating all these partial concepts to breath new life into the ship only to prolong life by 8 months every time. In my opinion, give her a proper send off to the scrappers and let her pass on gracefully like the grand lady of the Atlantic she once was. 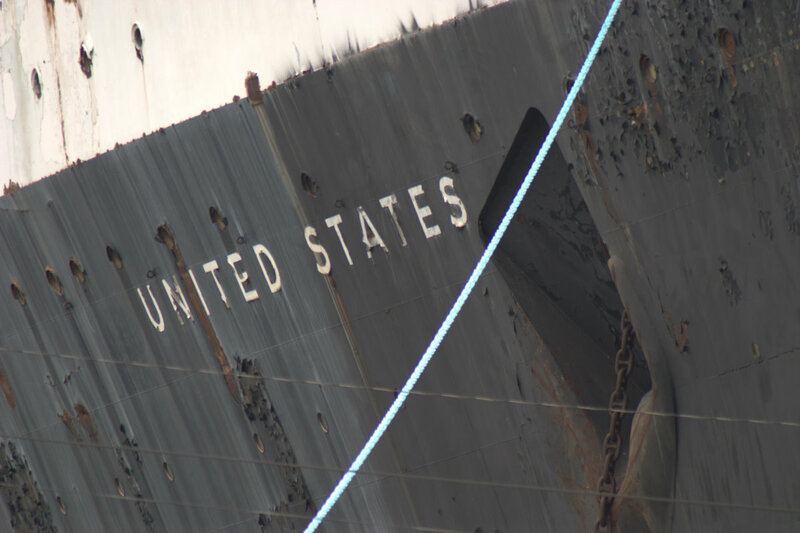 Side view of new SS United States. Note the super structure resembles the Queen Mary 2.